A classic shirt called Molly with a V-neck detail. It flatters your silhouette and adds a lot of elegance to your outfit. 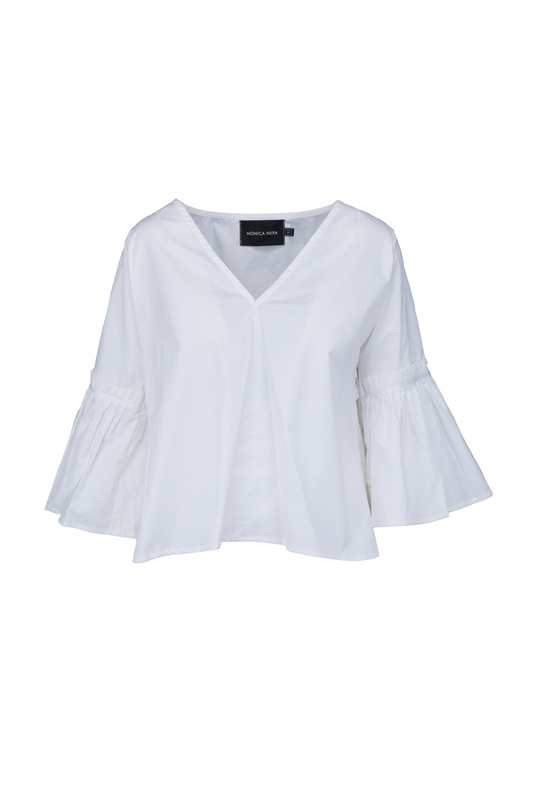 It is the perfect summer top that will go with everything, pair it with jeans and some flats and you're good to go!